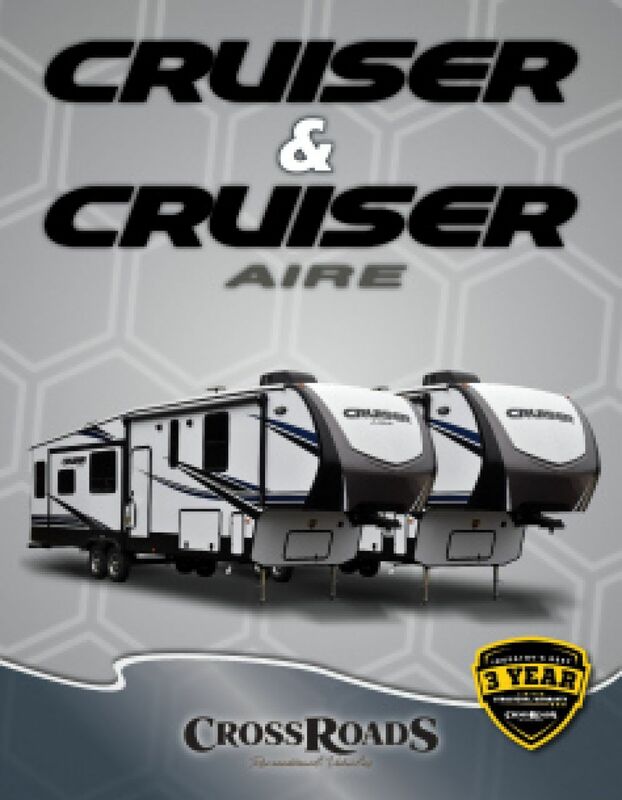 Every adventure you experience in the awesome 2019 CrossRoads Cruiser Aire 28RD will be one to remember! You'll find this superb 5th Wheel and other great RVs at National RV Detroit, the best RV dealership in Belleville - and beyond! We're located at 44700 N I 94 Service Dr Belleville Michigan 48111, and you can tour this amazing RV, or any of the other top brands on our lot! Give us a call and talk to one of our friendly RV experts at 734-439-3400! You'll learn how you can save $1000s on your dream RV and be on the road in no time! Don't worry about not being able to tow this RV! It has a hitch weight of 1478 lbs. and a GVWR of 10270 lbs. You'll want some shade and comfort while you're lounging outside, so pull out the 13' 0" awning with ease! This Cruiser Aire 28RD is built for easy, comfortable living on the road! 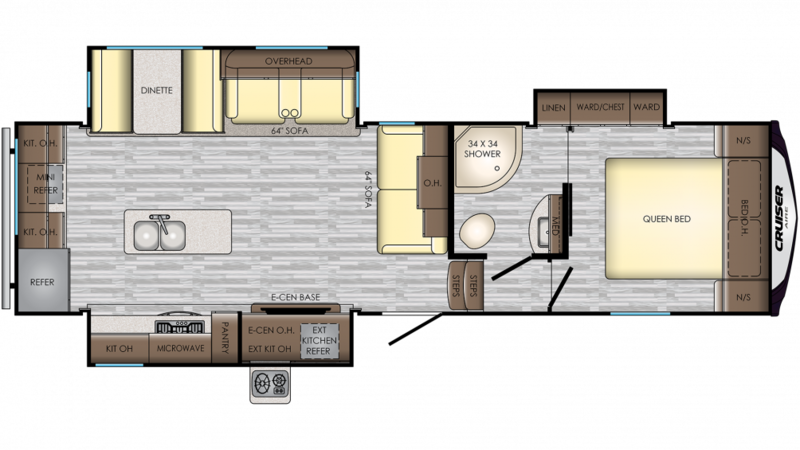 It's a roomy 32' 7" long, 8' 0" wide, and comes with 3 slideouts that maximize living space inside! And when the weather outside isn't cooperating you can use the efficient 30000 BTU furnace to stay cozy and warm, while the 15000 BTU a/c unit will keep everyone cool and comfy when it's sizzling outdoors! With the kitchen sink, you can wash dishes and drink clean water provided from the 60 gallon fresh water tank. The kitchen also has a roomy 8.00 cu. ft. refrigerator and a 3 burner range cooktop! Experience the convenience, comfort, and privacy of your own bathroom, complete with a Foot Flush toilet and a shower, wherever you camp! With 60 lbs. of LP tank capacity, you won't have to worry about running out of hot water! Dirty water and waste are stored in the 88 gallon gray water tank and the 44 gallon black water tank, respectively. Going tailgating? How about hosting a cookout? Either way, you'll love having the outdoor kitchen that comes with this RV! Whip up tasty treats with ease and convenience!